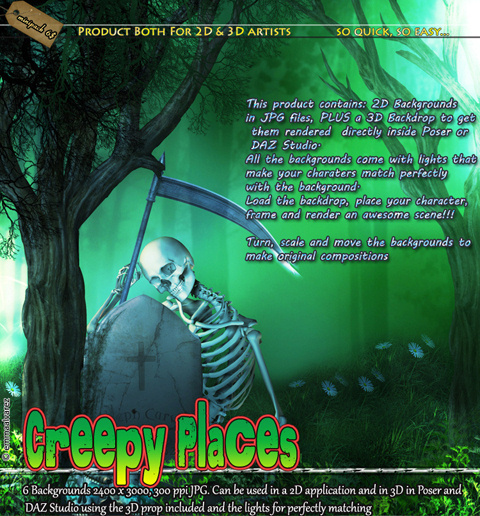 I have made this product called Creepy Places. 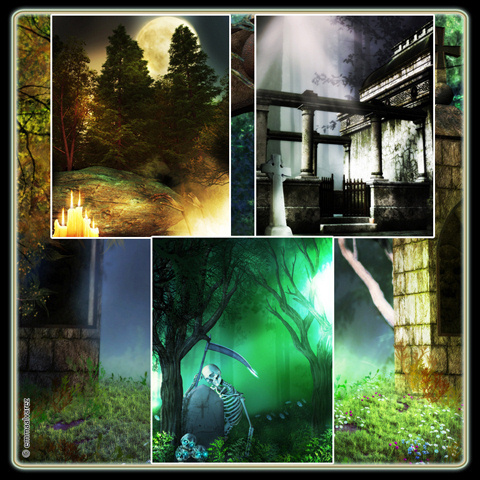 It is like a new generation of backgrounds (backdrops) that I've invented. 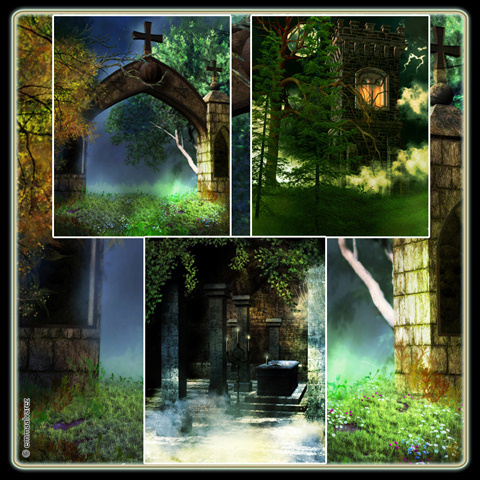 These backdrops can be used in Poser or DAZ Studio. The 3D backdrop’s special material is not affected by light, just your character, so all matches perfectly. Each backdrop comes with preloads that include lights made specially for each one, and scaled to Victoria 4. But as they also come in JPG (size 2400x3000, 300 ppi), they can be used by 2D artists with any software that can open a JPG. Sometimes people buy backgrounds and it's hard to match the characters with them. So those beautiful backgrounds end being useless. This product allows matching them perfectly with your characters. Get it now as launch price 15% Off!!! These are really nice, Emma! I likes! Thank you Su and big hugs!